Home > Giveaway > Pillsbury Bake Off – You Be The Judge Giveaway ! Pillsbury Bake Off – You Be The Judge Giveaway ! You may remember my post about the 44th Annual Pillsbury Bake Off where the winning recipe wins 1 million dollars ! Recipes have been submitted and now it’s time to vote. 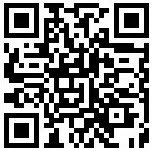 The contest´s entry period ended in mid-April 2009, but now we invite you to help with the judging. For the first time in the contest´s 60-year history, you and your readers can help determine 10 recipes among the final 100 that will compete for the $1 million grand prize! How does the You Be the Judge! voting work? Judges will select 20 recipes to be placed online at www.bakeoff.com in pairs for a period of two weeks for each pair. Consumers can vote for their favorite recipe in each pair. The recipe from each pair that wins the most votes will earn a spot in the final competition, April 11-13, 2010, in Orlando, Florida. Voting is limited to one vote per person per each pair of recipes. Voters must be registered members of www.pillsbury.com and 18 years of age or older as of May 1, 2009, to participate. Pillsbury and My Blog Spark has generously offered to give 2 Life In A House Of Blue readers a Pillsbury Prize Pack which includes a magazine of past Bake-Off recipes and a Pillsbury Doughboy giggle doll. WINNERS ( 2 winners) ! 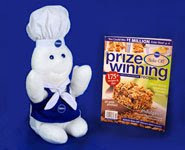 Pillsbury Prize Pack which includes a magazine of past Bake-Off recipes and a Pillsbury Doughboy giggle doll. I love spicy stuff, so the Jalapeno Chicken Crescent Pinwheels sound delicious! Thank you to My BlogSpark for the giveaway opportunity! They have some great recipes to choose from. My granddaughters decided the White Chocolate-Strawberry Yogurt Parfaits are the best. We're going to try it this weekend. Ooo, those Cheddar Twisters look sooooo good! I would definitely have to choose the chick n corn mini pies. Thanks for the chance. I have to try the Cheesy Potato Corn Cakes. They look really good. I like the cinnamon crinkles. I think adding bacon was ingenious. The Vienna CHocolate pie sounds wonderful. Thanks so much. The chocolate peanut butter cookie pie sounds great to me. I would love trying some of these great recipes. I'd like to make the Pistachio Mousse Brownie Torte. i like the bacon spinach pizza! I like the soft pesto pretzels. cheesy potato corn cakes yum! The Chicken Alfredo Gorgonzola Walnut Pizza sounds out of this world!! The Philly-Goes-Mexican Cheese Steak looks great. Those Cheese Fondue Sticks look delicious! I would like to try the Bacon Spinach Pizza. I love spinach pizza, so add on bacon, and it just sounds yummy. Oddly enough, I do not like the taste of regular spinach. I think the "Creole Shrimp and Cheese Tart" sounds pretty good. Mmmm ... The Vienna Chocolate Pie looks really good! I would love to try the Cheddar Twisters. They sound really good! The Zebra Brownie Doughnuts sound and look good - brownies and doughnuts all in one! The Italian Appetizer Wedges sound so yummy! The Biscuit Taco Casserole sounds really yummy! I'd like to try and make the corn and pea salad with cinnamon toasted pecans. Banana Crème Pastries are my favorite. White Chocolate-Strawberry Yogurt Parfaits sounds yummy. I think Peanut Blossoms has to be one of my favorite recipes from the past cook offs. And it seems to be a favorite of lots of other people. It always seems to show up at pot luck events. I like the Southwestern BBQ Chicken Wraps and I voted! I would love to try the Vienna Chocolate Pie. YUMMMY! You are adding to my blogroll. I have blogged with 2 links. I like the yummy broccoli cheese squares! The Savory Crab Cheesecake recipe looks very tasty!